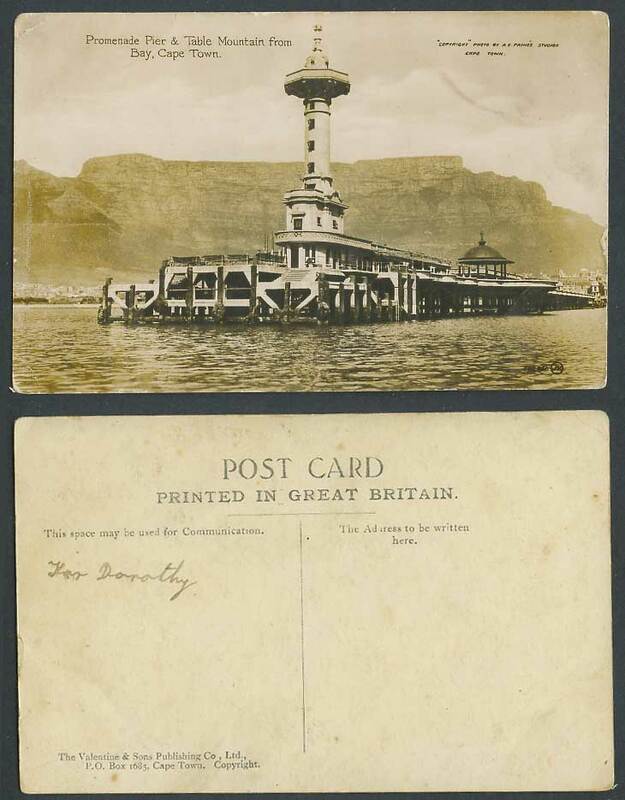 Vintage Old South Africa Real Photo Photograph Photographic Postcard. South Africa, Cape Town Capetown - Table Mountain and Promenade Pier from the Bay. Lighthouse Tower. Pavilion. Panorama.